I got interested in the TheraPearl Reusable Hot & Cold Back Wrap because I thought my hubby would be able to make use of it. For the past few years, my hubby has been having a lot of back pain. The pain is right above his tailbone exactly where he got bit by a tick. The pain is exacerbated by certain foods that contain salt and especially msg. As a result he needs to take a powerful pain medication. 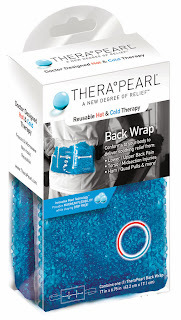 This TheraPearl Back Wrap is microwavable. The suggested heating time on the box is for one minute but my hubby says that two minutes works good for him. 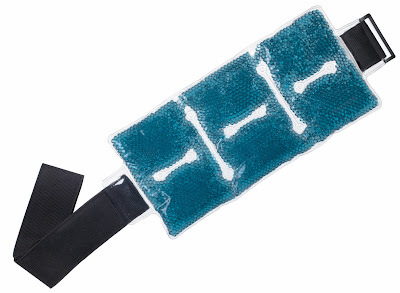 This back wrap has the ability to be used for hot and cold therapy in one convenient pack. TheraPearl has several lines of wraps ranging from eye masks to back wraps including products for kids. They also have packs that are specially design for sports or even for breasts for relief from breastfeeding or after surgery. My hubby says he likes it. It is so comfortable that he sometimes forgets that he has it on. The only complaint he has with it is that the buckle for the Velcro elastic belt is too close to the heating pack making it difficult to center the belt on the back without having to twist it after tightening the belt. Spinning the belt around on his waist after buckling it causes his clothes to be twisted when he tries to latch it with the buckle in front. There are many ways to connect on social media with TheraPearl. You can find them through Facebook, Twitter, Pinterest and Google+ . If you need cold/hot packs for your injury or condition, you should check them out.